Looking for best PHP books? You have come to the right page. 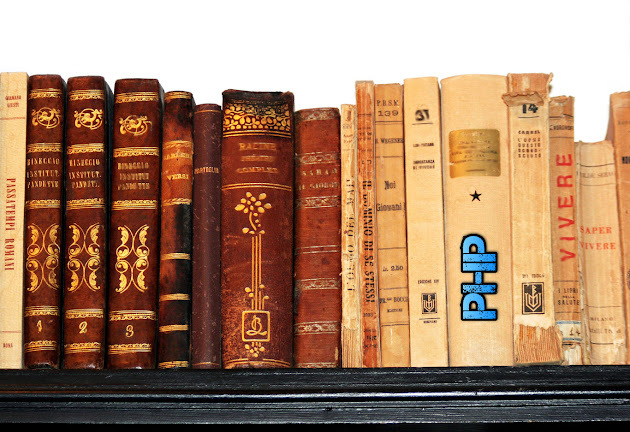 We have compiled a list of recommended reading on PHP programming. These books should help you learn basic and advanced concepts of PHP development. Books are said to be man’s best friends. Our friends might not share all their knowledge and skills, but books will indiscriminately do so. The advantage of owning a book is that you can refer them any number of times and anytime. Though the Internet has reduced paper waste, buying books, especially academic books would never stop unless the world ends. PHP, the acronym for Hypertext Preprocessor is a widely used programming language that enables web designers to develop interactive and dynamic web contents using the database. It is indeed the cheapest and effective alternative for other technologies like ASP. Also, PHP is free of cost and does not require high programming skills to start. Beginners with the basic knowledge of programming language concepts can easily learn PHP. In addition, open-source factors allow developers to experiment with codes, implement new concepts and develop new software tools and applications for all practical purposes. The book by Luke Welling has everything that a PHP developer will look for. Simplicity in language, clarity of thoughts, the length of each chapter, crisp and practical examples and perfect enough content to make this book a must read. Be it for the beginners who are still exploring the PHP world or for experts who are experimenting with complex code, this book is meant for all PHP enthusiasts. This book is highly recommended by PHP professionals as a reference material for all challenging PHP projects. This is the second edition which gives useful insights on the advanced concepts of PHP5. The David Powers has explained concepts without causing much confusion and talks to the point without diverting or comparing with other similar technologies. It is more than a dictionary or a reference material, giving all readers a solution oriented approach towards PHP. For example, the explanation of concepts like classes, objects, database, hierarchies is explained in a manner which can be easily comprehended by all programmers. Learning difficult concepts such as debugging, using tools of public domain or connecting with the database is a cakewalk with this book. Keeping aside the simplicity, this book has details of all that a programmer might need for which it would require him / her to spend hours on the internet or a library. This is an “all in one” book which is not just worth a read, but a must have for all programmers. Larry Ullman’s book is mostly custom made for those who have basic knowledge of HTML and are venturing into PHP projects. This is the fourth edition of the series free from a lot of old and outdated concepts. Simple and effective methods such as screenshots, codes, real time scenarios and examples are used to introduce advanced concepts. This book also throws light on the basic concepts like arrays, variables, regular expressions which help in forming a strong base for understanding PHP better. Assuming that the readers are aware of basics of PHP, the author has predominantly covered advanced PHP5 concepts in this book. Efforts are made in answering some of the complicated “why, how, what “questions that any programmer is likely to encounter. The OOPs concepts are well handled in the first six chapters; the next nine chapters deals with web concepts like forms, cookies, and database. An extra mile is covered integrating concepts such as XML, automation, sessions and web services. If you need help in setting up the Apache web server environment or juggling between PHP and MY SQL, this book is your best guide. It covers both concepts in detail and in a simple layman language. The book explains the basic web server concepts, client side and server side programming, database programming and all about the interactions between the database and PHP. The Murach style of explaining codes with screenshots is indeed very useful and much appreciated. This book by Matt Zandstra answers all questions of a PHP programmer. It’s indispensable for self-learners who need to understand the concepts in a simple manner and implement their programs in a highly technical manner. Besides, all PHP and OPPS concepts are clearly explained. What’s more, the practical exercises in this book definitely hone the programming skills of learners. This book Is essentially the starting point for novice PHP programmers and other professionals in the open source community. The above-mentioned books are indeed the best amongst the lot and have been read, reviewed and recommended by several PHP professionals in the industry. While there are many other PHP books available, these 7 are all a beginner would need to become proficient in PHP. Updated Article : October 8 2016 : Fixed minor typos and updated links to latest books. that is such a nice blog i found interesting thing in this check this one php web developer thanks for sharing.. I am fully satisfied with your thought but I want to ask you !! Is there demand of PHP ? I found in my company there is too much demand of Java but not more demand of PHP !! So if you have any conclusion about both plezz reply me soon !! Thanks for nice thought !! Many thanks for sharing such a nice tips for PHP developer.As i read the above blog article it is very interesting and useful.Thanks for sharing such a nice and informative article. It is really beneficial post for me because I am the part of SEO on-page due to which I really get benefits through it !! Thanks for sharing !! Thanks for sharing this very helpful resource. A lot of PHP developers are surely delighted with this very helpful information of the best PHP books. Looking forward to more informative posts in the future. Cheers! No doubt about book if we have any aim we must be make a favorite time pass to it. There are so many languages here so I don't thing you have any problem about languages to learn more. Well-written article. In addition to the books, there's a lot of information available online from the open source community.